From one of the leading sports scientists in history comes this milestone and final monument to his brilliant and ground breaking career. 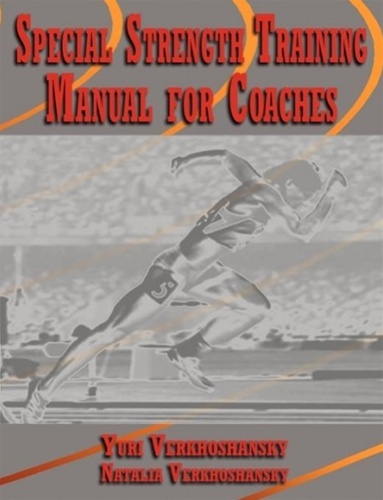 The Coaches Manual is the most cutting edge and exhaustive work of it's kind. In it contains all guidelines for the understanding and use of Special Strength Training, detailed description of two main groups of SST means, resistance and jump exercises, and the combined methods of their use: Complex Method, Stimulation Method, Contrast Method, Circuit Method, and Strength Aerobic Method. Elucidation of rationale of organizing Special Strength Training and it's application within the Block Training System is handled in a very clear and concise approach in addition to the practical use of SST in acyclic, cyclic sports, as well as team and combat sports. Also included are the author's own Ultra Mass program for bodybuilders and the most intelligent approach to the warm up. A complete history of the author's career and many contributions to the field are recounted. This book will prove to be the single most important tool in the arsenal of the best coaches around the world.